Congressman Paul Ryan has a new budget plan. Or, to be precise, the House Budget Committee chairman has an old plan on new paper. Ryan’s rehash of failed ideas for ending Medicare, gutting Medicaid and lowering taxes for the rich puts the defeated Republican vice presidential candidate back in the limelight. And that means the “Nuns on the Bus” are back, as well. Last year, after Ryan tried to make a case that his austerity agenda was in keeping with Catholic social justice teaching, the nuns begged to differ. NETWORK, the Catholic social justice lobby, decided to focus attention on moral objections to Ryan’s budget schemes. 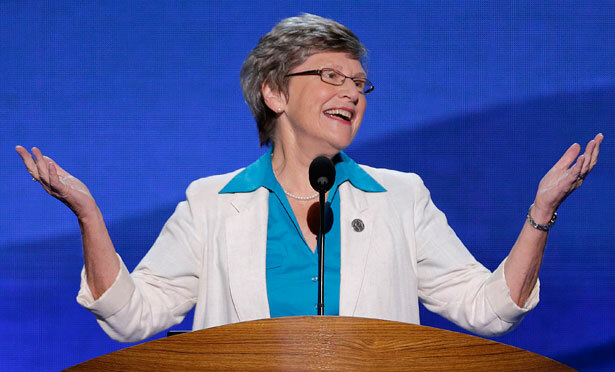 They did so with the “Nuns on the Bus” tour, which brought NETWORK executive director Sister Simone Campbell and other Catholic Sisters to the congressman’s hometown of Janesville, Wisconsin. There, and in communities across the country, Sister Simone and the nuns challenged Ryan’s economic extremism. Unfortunately, Ryan didn’t get the message—just as he didn’t get the signal sent by voters who rejected the Romney-Ryan ticket by almost 5 million votes. So the NETWORK nuns are again seeking to right the wayward congressman’s course. On Tuesday, March 12, Rep. Paul Ryan released the Republican FY14 Budget proposal: The Path to Prosperity, A Responsible Balanced Budget. It is difficult to see how it is either balanced or responsible. Also, as Ezra Klein points out in today’s Washington Post: “Here is Paul Ryan’s path to a balanced budget in three sentences: He cuts deep into spending on health care for the poor and some combination of education, infrastructure, research, public-safety, and low-income programs. The Affordable Care Act’s Medicare cuts remain, but the military is spared, as is Social Security. Rep. Ryan claims to balance the budget within 10 years while lowering tax rates. He admits that some of this is due to the already-in-place tax increases on those earning more than $400,000 per year, which he STRONGLY opposed, and more of it is due to repealing (not reducing) the Affordable Care Act. Medicaid would become a capped block grant program—which would result in denying healthcare to at least hundreds of thousands of persons who have no access to insurance, thus increasing the real costs of healthcare by their use of emergency rooms for common ailments. Medicare would have means-tested premiums for high-income seniors, and workers born in 1959 or later would enter a private Medicare Exchange with a premium support provided beginning in 2024. Supplemental Nutrition Assistance Program (food stamps) would be given over to the states in a block grant, and a federal mandate would call for time limits and work requirements. In his totals, spending would be about $50 billion less than under sequestration! Discretionary spending would total $966 billion, which is $92 billion below the $1.058 trillion cap established by the 2011 Budget Control Act. There are no stated provisions to accommodate the needs of children, the elderly and those with physical or emotional restrictions on their ability to work. NETWORK strongly opposes each of the above proposals as they create untenable situations for those struggling to survive economically. Paul Ryan may have convinced his fellow Republicans to go along with austerity. But the nuns are not on board with Ryan. What would a Ryan-written budget mean for women? Read Bryce Covert's analysis.